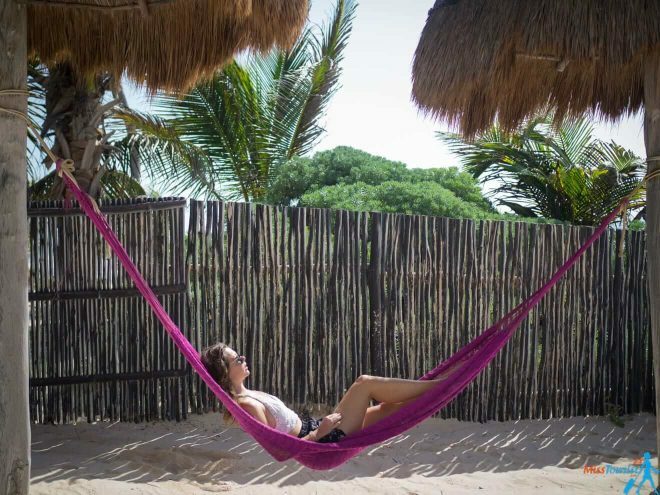 Yucatan Peninsula is a magical place in Mexico that you definitely have to visit at least once in your lifetime and in this article you will find 9 unforgettable best things to do in Riviera Maya! Mexico was on my bucket list since at least 2008, when I worked as a server in restaurants of California, USA. Many of my colleagues were Mexicans and I simply fell I love with their attitude towards life and with their sincere, sunny smiles! 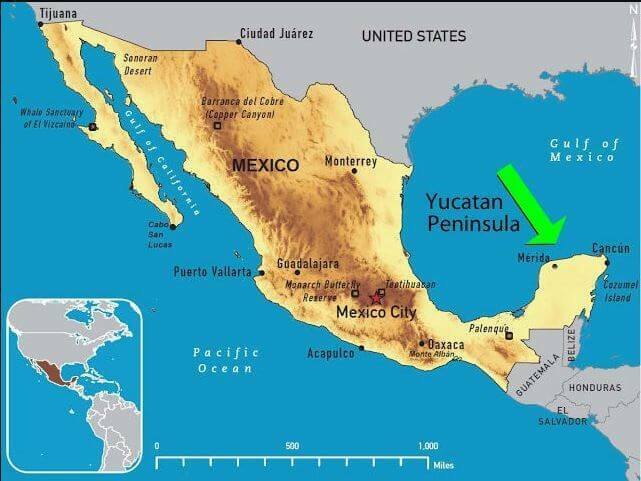 When the chance finally arose, I flew all the way from Europe to discover the beautiful Yucatan Peninsula for 2 weeks! So, I have spent 2 weeks touring Yucatan with a rented car. I mostly visited the Riviera Maya, which is located on the Eastern side of the peninsula. 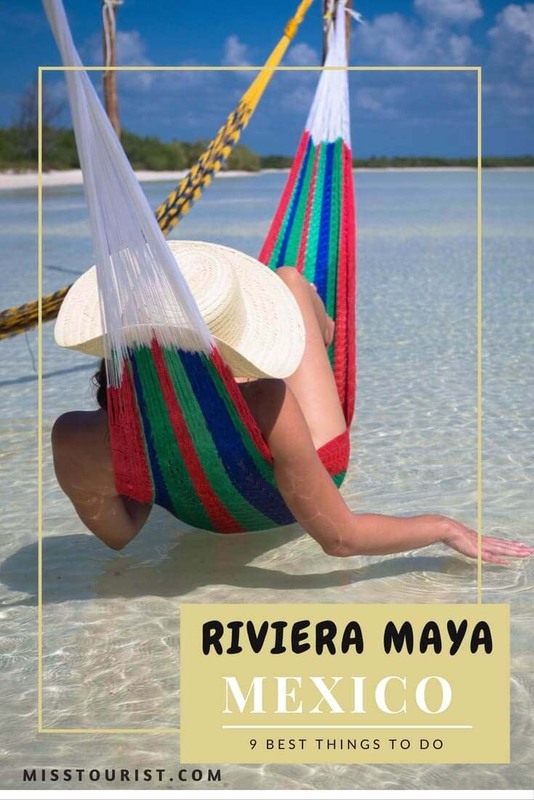 What to do in Riviera Maya? 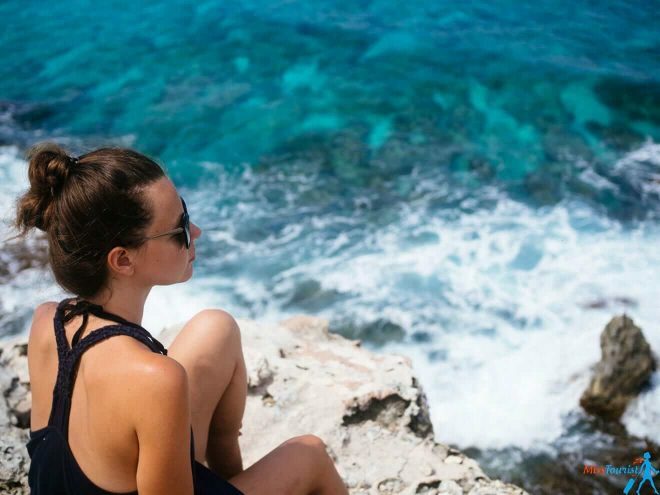 If you want to visit beaches, freshen up in crystal clear waters, swim with sea turtles, see the new wonder of the world and just have the time of your life, then keep reading, you will find tons of useful tips for your Mexican dream vacation! You did not see this one coming, did you? Chichen Itza is by far the most well-known attraction in Yucatan and maybe in the whole country! Chichen Itza is a huge complex of Mayan ruins shaped like pyramids built by Maya people approximately 1200 years ago. 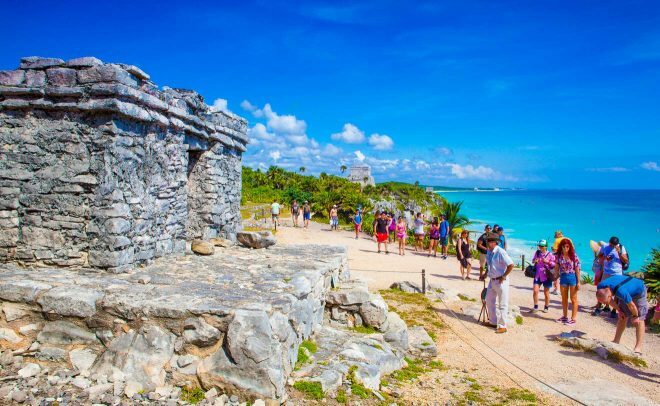 The famous Mayan ruins are a UNESCO World Heritage and one of the New 7 Wonders of the World. 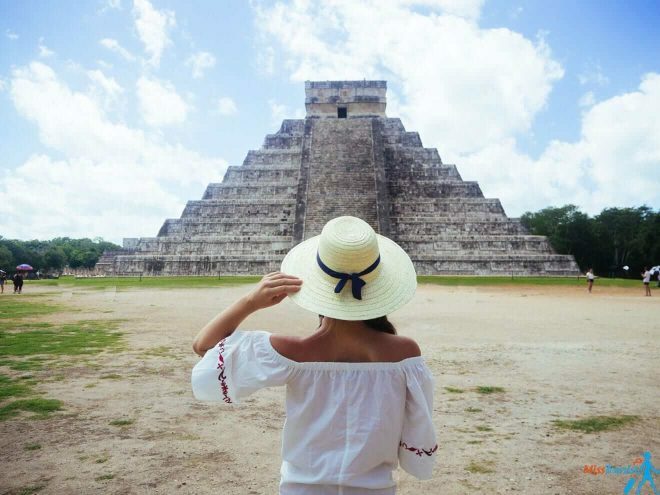 Even if you chose an all-inclusive, relaxing vacation, a day trip to Chichen Itza is totally worth it – it is such an impressive place! By the way, here is a fact that I learned in Chichen Itza – The Mayan calendar consists of periods, the periods change every 2.880.000 days, and on December 21st in 2012, at 11:11 UTC it was supposed to be the year when those periods change, not the end of the world, as many people thought. NOTE: Please keep in mind that the area is pretty large and it is not only made by that one pyramid that you see in all the pictures only. It is an ensemble of many greatly preserved ruins. You need at least 1.5 hours to discover everything with no rush. TIP: After exploring the site, you might want to get a traditional Mayan spa treatment at Hacienda Chichen’s Yaxkin Spa. This is one of the best Mayan spas, hidden away in a jungle garden close to Chichen Itza, where they practice natural Mayan cleansing and healing rituals. You can choose to have a massage, face mask, algae body wrap and more! You will feel like a new person! Visiting Chichen Itza requires an entrance of 242 pesos (~14,5 US$) or 453 pesos (~25 US$) if you want to see the night show. NOTE: Basically, the entrance to Chichen Itza requires two tickets – one for 70 pesos and one for 172 pesos. Together, the entrance fee is 242 as I said earlier, but the thing is that you will have to buy them from different windows. But no need to panic! The staff will tell you where to go. What is this night show I mentioned above, you might ask? Well, it is basically a light show projected on the main Chichen Itza pyramid. You can come at 6 PM, see Chichen Itza during daylight and then stay for the night show as well, which starts at 8 PM when it is darker. The show lasts for about 30 minutes. During that time, you can explore the site with an audio guide included. If you want to take a guided tour in Chichen Itza, it is about 500 (28$) pesos for a guided tour of 1 hour, or 900 pesos (50$) for 2 hours. 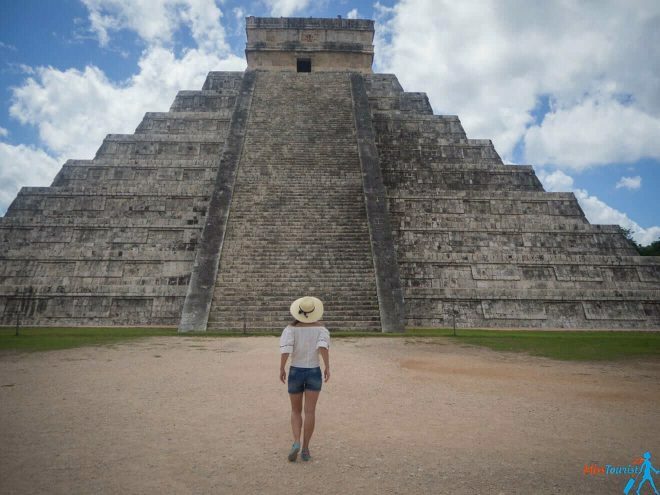 I visited Chichen Itza on a Saturday morning (visiting in the morning or evening is better, as it can get really hot in the mid-day) and I was surprised to see that there were not so many people, compared with another Wonder of the World – Petra in Jordan. In my opinion, getting there with a rented car is the best option! Chichen Itza is located 2 hours and 20 mins away from Cancun and 2 hours from both Playa Del Carmen and Tulum. You can check and compare the prices for rental cars in Mexico using this link! If you don’t feel like renting a car, there are tons of Chichen Itza tours in Riviera Maya available out there. 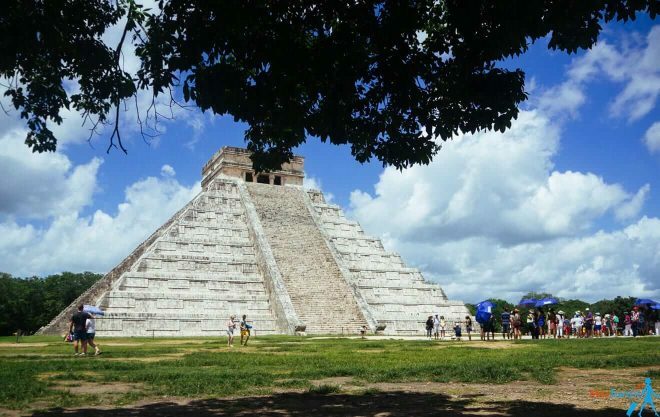 Here is one Chichen Itza tour from Cancun, from Playa del Carmen and from Tulum. The prices are anywhere between 50 to 150 US$ per person, depending on whether you would like a Chichen Itza private tour or if you want to stop by some cenote, visit the city of Valladolid on the way, if the lunch is included etc. If you are going to continue your Yucatan road trip, I recommend staying in Valladolid overnight. It is a small colonial town near Chichen Itza, and there are tons of reasonably priced hotels over there. By the way, Ik Kil, a very famous cenote is very close to Chichen Itza, you can stop by it as well if you have more time! 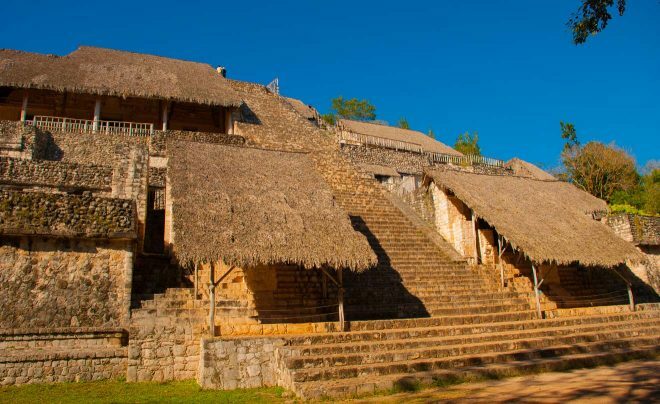 If you would like to visit Chichen Itza cenote and ruins, as well as Valladolid on an amazing full-day tour, this is the perfect option for you. 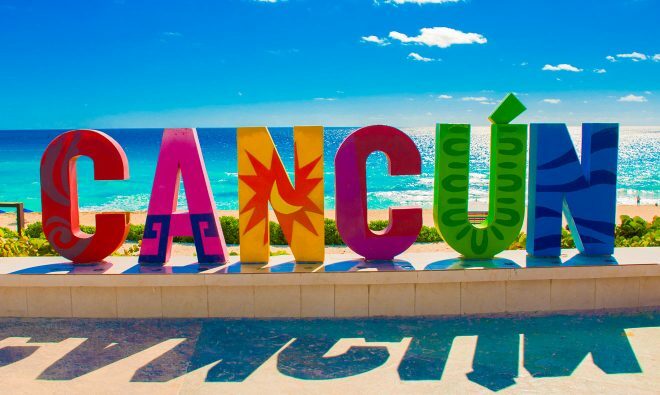 You can depart from Cancun or Riviera Maya, which is extremely convenient! There is UBER in Cancun! It is a great transportation option if you want to take a taxi and not get ripped off. Use my promo code (YULIAS777UE) to get your first ride for free! A normal price for a taxi ride to/from the airport to the hotel zone is 400 pesos (around 20 US$) by taxi and 250 – 300 by Uber (which is 12-15 US$). The public bus is just 12 pesos (0.6 US$). Just ask the driver the name of the place where you are going. Souvenirs are waaaay too overpriced. You can try Mercado 28 in downtown Cancun for more accessible, local prices. 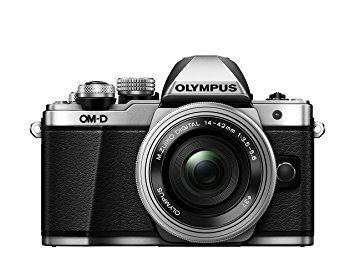 Almost everything is negotiable and it is good to compare the prices with 2-3 other sellers before buying. Avoid the Spring Break as this is the busiest (and the most expensive) time of the year to be in the city. The most famous Cancun attractions include shopping, clubbing in Coco Bongo and other hot nightclubs. Looking for some unique things to do in Cancun? How about snorkeling/diving around underwater statues? No more boring museums! Musa Underwater Museum will be one of the highlights of your Cancun trip! Check out the snorkeling tour here. This half day tour will take you to the museum with a fast boat. If you have a diving certificate, I highly recommend getting the diving tour. It is just 10 US$ more expensive, but you will get to see the statues closer. I don’t have the certificate at the moment, so I was given only the snorkeling equipment, using which I was only able to dive for a couple of seconds. Still a lot of fun! After the museum, you will have 2 more picturesque spots where you will see a rich underwater life including sea turtles in the wild! And the best part? It is just for you and your boat mates, nobody else is around! I honestly did not understand why people like all-inclusive hotels before. I have been to one in Egypt, and I did not like it at all – I ate way too much, the quality of the drinks was horrible and I ended up traveling by myself leaving my hotel room empty at the end. I guess I haven’t stayed in the right all-inclusive hotel, yet. 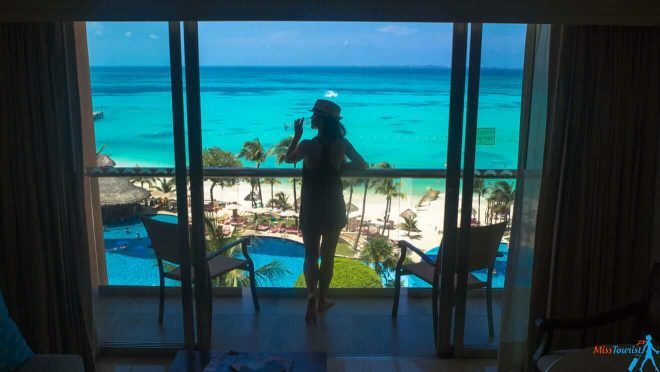 Grand Fiesta Americana is a 5-star Cancun all-inclusive resort that has a FANTASTIC service, the view from my room was to-die-for and the food is a-la-carte. So no more buffets and no more eating way too much of the bad quality food! A glass of champagne waiting for you at check-in. How is that for the start of a great vacation? A double shower, so that you can take a shower together and not fight over it! The room design and the outstanding quality of service go without saying. After all, it is a 5-stars hotel! And I mean, who would be gloomy if your day starts with this view? Call me old and boring, but when we walked outside to check all those noisy bars that are just 2 minutes away from the hotel, I wished to come back to my personal paradise right away! 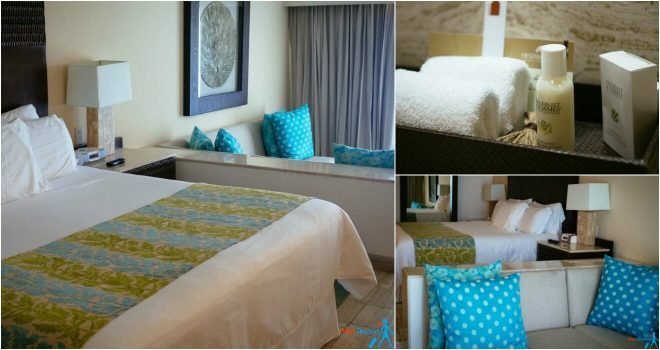 Grand Fiesta Americana Coral Beach Cancun is an EP (European Package) hotel, so you do not need to commit for the all-inclusive food. They have 5 resort restaurants that you can choose from and you can order from them a-la-carte. I loved ordering my food right by the pool! Aaand it was delicious too! 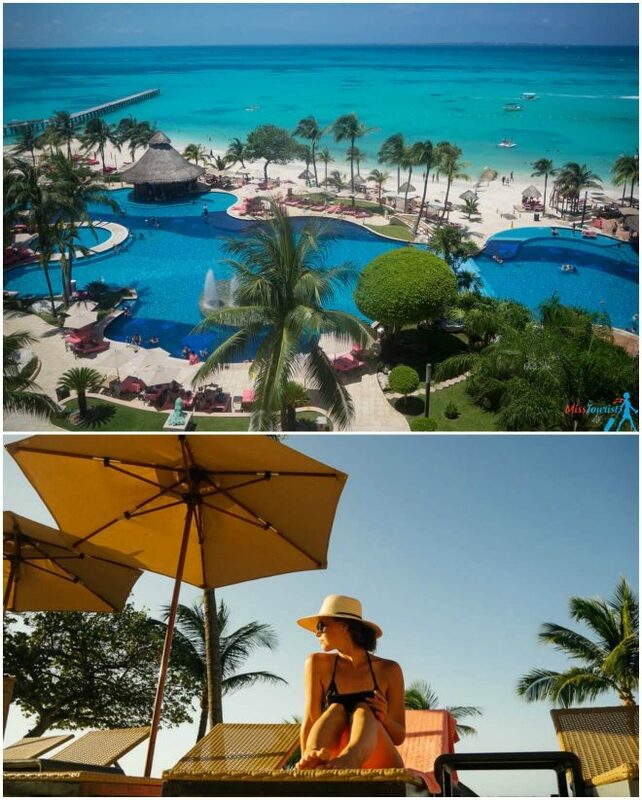 NOTE: Even if the hotel is big, it is constantly sold out, so make sure to book it in advance for your Cancun holidays in case you want to stay there! Oh, and by the way, the hotel is located right in front of the pier for Isla Mujeres, so there will be no need to walk for long or take a taxi! La Isla Mujeres is an island located only 13 kilometers off the coast from Cancún. The island can be visited on a day trip, which I highly recommend as this is one of the unmissable Riviera Maya attractions! 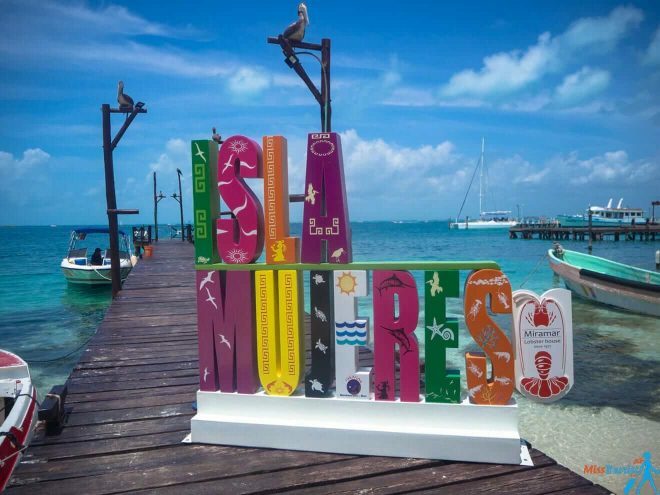 To go to Isla Mujeres, please buy your ferry tickets online at least one day in advance (choose Playa Carasol if you will stay in Grand Fiesta Americana). For some reason, we couldn’t buy the tickets to Isla Mujeres online even if there were plenty of spots left, so we did it at the cash register. The price is 24 US$ at the cash register or 17 US$ online (14 + 3 US$ ferry tax that you will still need to pay in cash when boarding the boat). It takes about 30 min to get the island. Or why not rent a golf cart instead? The regular one for a maximum of 4 people is 65 US$/total/day and the large one (fits 4 people + cargo bin) is 80 US$/total/day. You can check the updated rates here. 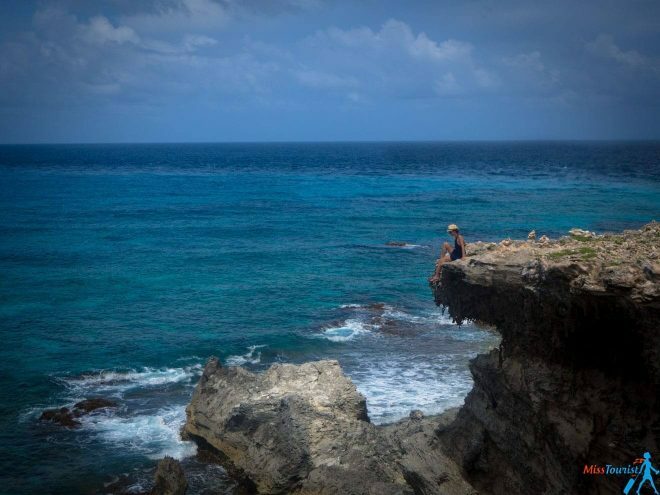 While you are on Isla Mujeres, make sure to visit the Punta Sur, one of the most fantastic and powerful places I have been to! The entrance is 3 US$, and those were one of the best spent 3$ for me! So worth it! What are cenotes anyway? That is a good question! A cenote is a giant sinkhole that is formed as a result of a bedrock collapse that brings the fresh groundwater under it. As the underwater life is really beautiful in many of the cenotes, I recommend getting a snorkeling mask in advance. Otherwise, you will need to rent it numerous times, and thinking about how many people used it before me makes me shiver. Remember that it will be quite cold because the water is fresh and there is no sun. But once you get inside and move, you will be fine! IMPORTANT: PLEASE do not use any sunblock before swimming in cenotes! The water there is crystal clear and all the rich underwater life will be affected because the cream stays in the water and poisons the fish there. Cenote Dos Ojos – 350 pesos (~19 USD) Note: You will have to walk for 3 km if you don’t have a car. There are many more cenotes, so I advise you to visit some of them for an unforgettable diving or snorkeling experience! So, if you decide to have only one fun thing to do in Mexico, let it be swimming and snorkeling in cenotes! All the cenotes usually close around 5.30 – 6 PM. The sun goes down that time in any way, so you will not want to stay for longer. The kids’ ticket (4 – 8 years old) is usually half the price. 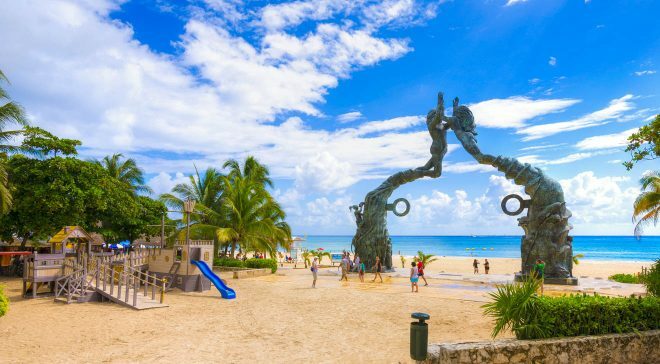 Playa del Carmen is another coastal city located South from Cancun and one of the top 10 things to do in Riviera Maya, Mexico! It is also less hectic and less touristic than Cancun, but it still has lots of restaurants and clubs to offer. I definitely recommend checking it out! 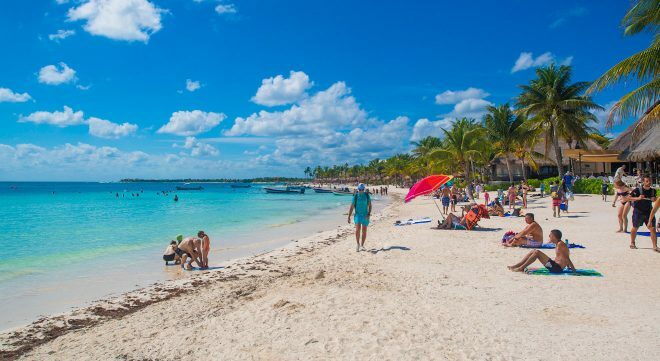 In fact, many independent travelers just skip Cancun (if you do not stay in a nice resort there, it is not much to do in Cancun IMHO) and go down to Playa right away. I felt like the city was safe and very alive, and it definitely has its own vibe. It is, in fact, one of the fastest growing cities in North America! Cenote Azul – this one was my favorite! Please see the description of each cenote (and what are they) above. I mentioned the working hours and the price. Of course, no Mexican trip is complete without trying some traditional cuisine, right? 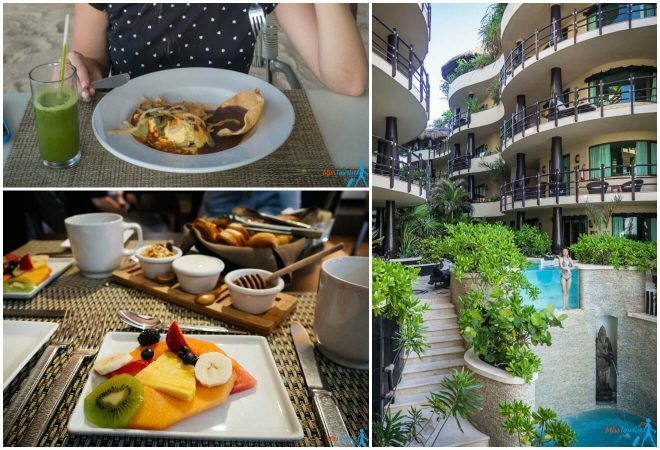 Besides exploring the wonderful surroundings, eating delicious food is one of the best things to do in Mexico, so here are some Playa del Carmen restaurants that I loved a lot! The hotel is located in the center but at the same time it is very secluded, so you won’t see crowds of tourists there. This is not your typical hotel building – you will stay in a condo with a living room, a fully equipped kitchen and a bedroom. Wait for it… A private Jacuzzi! My personal private Jacuzzi! Say what? The Jacuzzi is outside your condo, and it is placed this way that people can’t really see you. So yes, you can relax in bubbly water enjoying the view to the ocean drinking your beer and not being bothered by anybody. Hell yes, you deserved it! Oh, and there is a little fridge that is near the Jacuzzi in case you want some beers and don’t want to go all the way back to the living room. Attention to details, I told you! The breakfast will be included in your stay. El Taj has two restaurants for you to choose from – El Taj Restaurant and Indigo restaurant that are located only 2 blocks away. I personally liked El Taj more because it is right on the beach and they have a buffet too! Some other free perks that come with staying in the hotel – free usage of a gym nearby (I visited once and I can say it is a great fully equipped gym! ), discounts at many restaurants etc. Also, the transfer to another beautiful beach located 15 minutes-drive-away is provided free of charge. 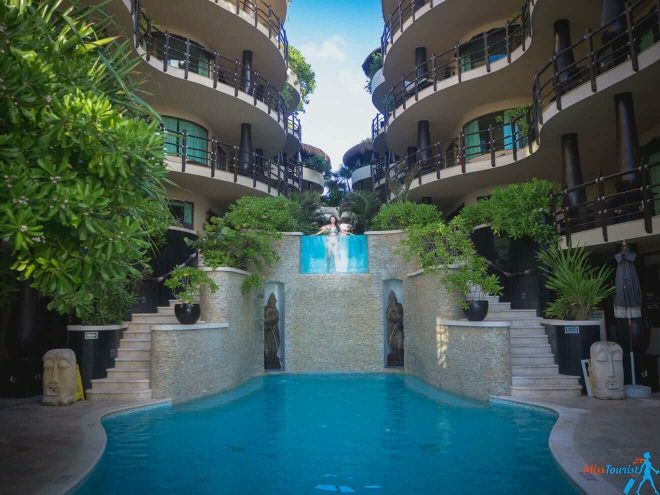 So, I can say that all in all, this is one of the best Playa del Carmen all-inclusive resorts! In Tulum the sky is under the sea! 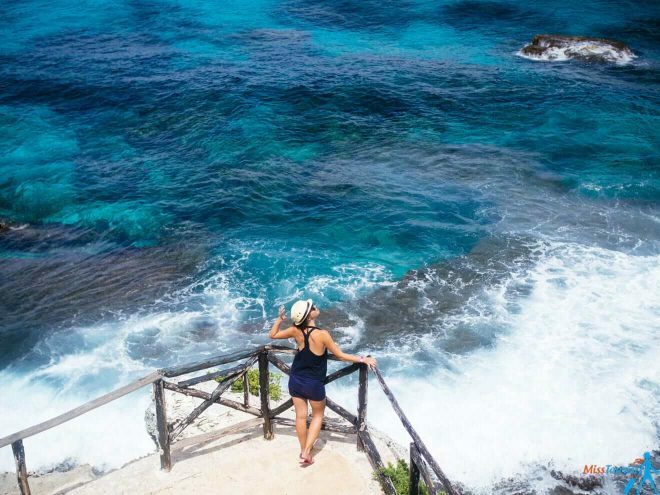 Seriously, the water has such a beautiful turquoise blue color in Tulum – I have never seen anything like that! Tulum used to be a little fishing village just about 15 years ago. Now it is a new popular hype destination for tourists with nice (not all-inclusive giants like in Cancun) bungalow-lined beaches. Tulum ruins – 70 pesos (around 4 US$) the entrance, free parking, you can come with your own bicycle. 600 pesos (around 30 US$) for the guided tour. 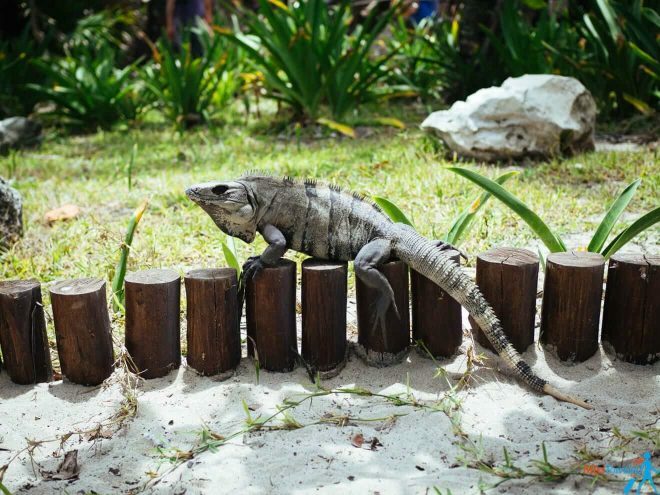 This is definitely one of the top Tulum attractions! Carwash cenote – if you are searching for some cenotes near Tulum or for something less known, you should go to this cenote. The entrance is just 50 pesos (around 3 US$) and it is just around the corner from the Grand Cenote. Experience a very special dinner at The Dining Experience in Tulum! The price is 79 US$ and it includes all the food courses and drinks. 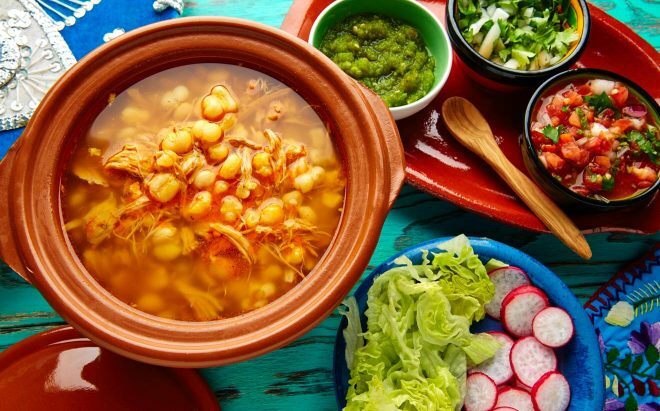 This is a tasting menu with traditional food and cocktails where you will get to experience and learn about the best dishes and flavors of the Mexican cuisine and even make your own salsas! The dinner takes 3 hours and there are 21 spots available. The best part? You can make new traveler friends there and you can even take the recipe for each dish home if you want! You can book it here. 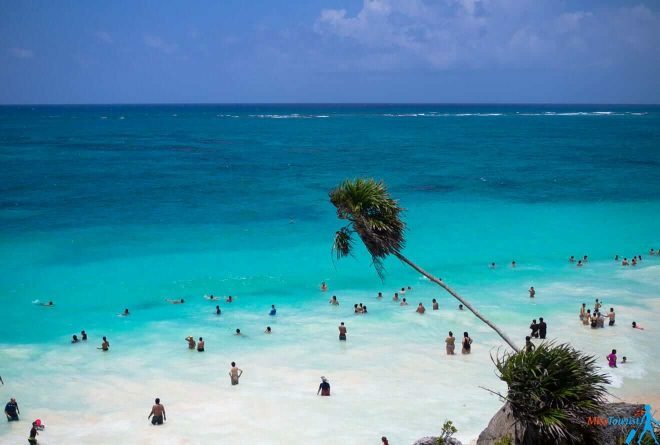 As I mentioned, the main activity to do in Tulum is enjoying the crystal blue water and the white sand beaches which are among the best beaches in Mexican Riviera. Here I have seen some of the most beautiful beaches in my life, that I can compare with some parts or Langkawi in Malaysia. 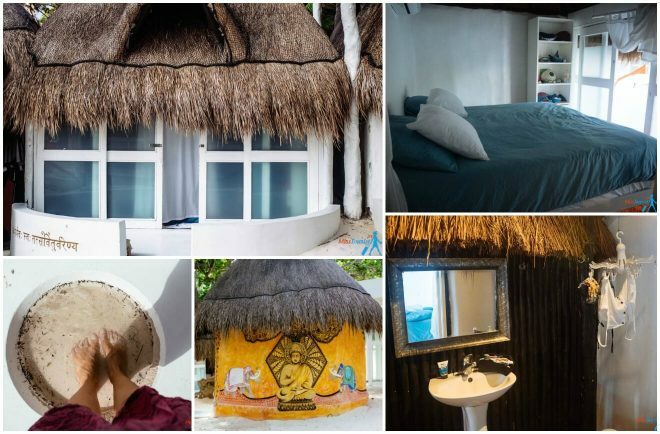 You can stay in the actual city of Tulum and it will be much cheaper, but keep in mind that it is about 15 mins away to the beach by car. 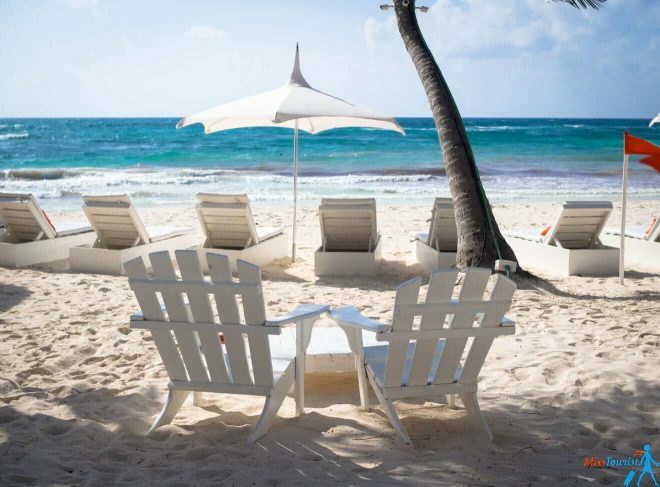 The second option is to stay on Tulum beach and wake up to the sound of the waves. It is a bit more expensive, but I’d say: if you are not traveling on a tight budget, it is totally worth it! I had to wash my legs each time before entering my bungalow because we were staying literally on the beach and my legs were all sandy! The hotel where I stayed is called Shambala Petit Hotel. It is funny, but at first, I couldn’t even find the door of the hotel as there was no visible sign. You see, the hotel specializes in yoga retreats and they care about the privacy and comfort of their clients that much that only the person who knows will enter, no passersby. “You were not ready to enter yet” – the owner of the hotel said when we finally found the bell to ring. When you enter the hotel, you get into a different world, all calm and spiritual. The beach is marvelous, and the bungalows you will be staying in are simple and clean. I recommend staying in this place if you feel like immersing with nature, relaxing after a stressful period at work, and if staying in the bungalow is ok for you. You will have a private shower and an AC, but they care about the environment a lot in Shambala and the AC only works during specific hours (because they use solar energy). Shambala is not a 5-star all-inclusive hotel, but it is something more simple and natural. Just what I needed in order to relax my mind and spend all those countless hours in the hammock reading a book! Oh, and I have seen a hatching turtle, for real!! Well, it was dark, so I saw a shadow, but it was still a magical experience, trust me! You might also see them if you come between May and November, which is the season when turtles lay eggs. Please do not disturb the turtles when they go out from the ocean in search of a good place to lay their eggs, you might scare them and they can release the eggs in the ocean instead of the beach, losing their opportunity to hatch! You can get a bit closer once the turtle chooses the place and it starts to dig the sand. Once they decide where to hatch they won’t care much about if you are around or not, but that doesn’t mean you should get really close. That is what I have been told by the hotel owner Roberto, he is so passionate about turtles! Ok, that was a big parenthesis. I also wanted to add that Shambala Petit Hotel provides bicycle free of charge and they are in great condition. 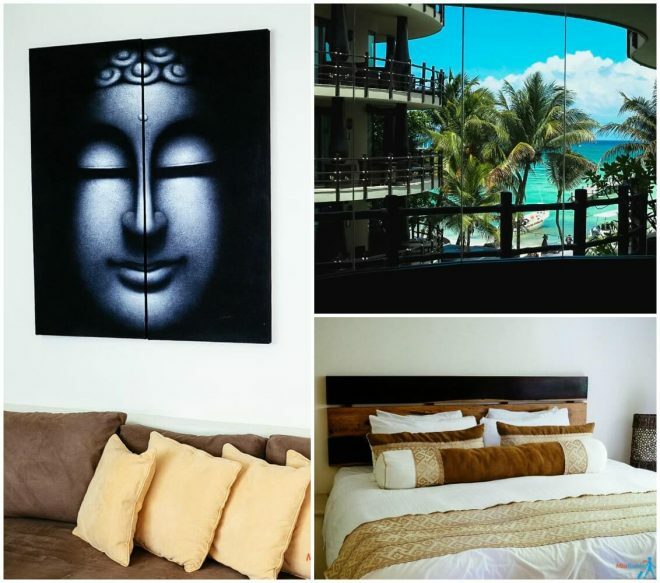 As the place serves mainly as a yoga retreat, it gets sold out sometimes, so make sure to book it in advance in case you want to stay in one of the best hotels in Tulum! The Coba ruins in Mexico are some other Mayan ruins, not as well-known as Chichen Itza (yet). They are still very impressive and let you appreciate the achievements of Mayan culture. 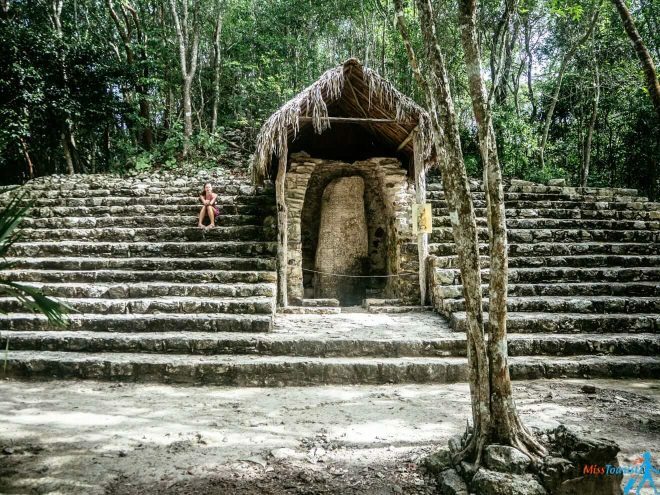 The Coba Pyramid is just 44 km away from Tulum and it can be easily done as a day trip if you rent a car or take a tour. You can also visit it as part of your Yucatan road trip on your way to Chichen Itza. The most fun part? 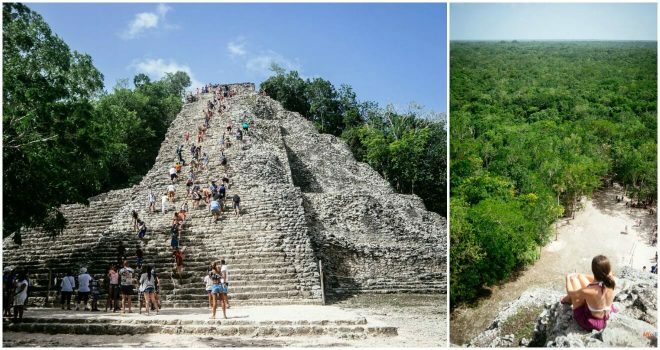 Climbing the highest temple pyramid on the Riviera Maya for panoramic views. Remember that the stairs look much steeper than they actually are, but the view from the top is very nice! 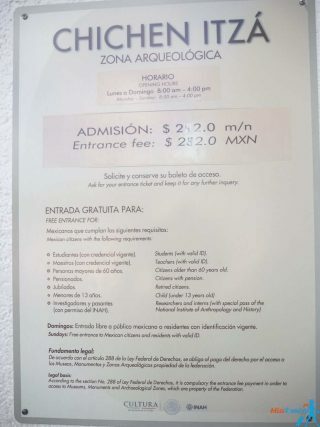 It is 50 pesos (around 5 US$) for parking, the entrance is 70 pesos (around 4 US$), add 45 extra (2.5 US$) if you have a video camera (or you could just put it in your bag, they will never check). If you want to take a guided tour (which is always better, especially considering the fact that there is almost no info written there). Our guide was 600 pesos (around 31 US$) for 45 minutes, but we didn’t negotiate though (we forgot again!). To get to the bigger pyramid you need to either walk for 2 km, or you can rent a bicycle for 60 pesos (3 US$)/person (unlimited time). If you don’t trust your riding skills but don’t want to walk as well, you can take a bike taxi – it fits 2 people and it is 100 Pesos (around 5.5 US$) plus the tip. There is a third complex on the East side which is also great and very serene. Not many visitors make it there despite the fact that the main pyramid site is very crowded. I definitely recommend going! Overall, the place was quite crowded, so I recommend arriving earlier, at around 8 AM, as it is not that hot and there are no tourists. NOTE: There are no days off, Coba ruins are open every day. NOTE2: As far as I know, this is the only Yucatan pyramid that you can still climb, but we don’t know for sure when it will become forbidden because of the constantly increasing number of tourists. So better go as soon as possible – climbing a pyramid is a unique and unforgettable experience! Akumal is a liiiiittle town in between Playa Del Carmen and Tulum that many people visit to see the sea turtles in their natural habitat! 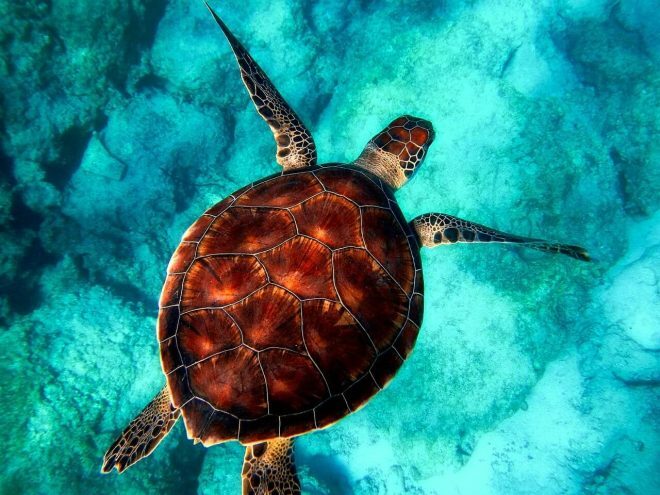 Large and peaceful turtles can be spotted on Akumal, Riviera Maya on the beach pretty much during any season of the year. IMPORTANT INFO: Everyone from a parking man to a shop vendor in Akumal will try to sell you tours to swim with the turtles and they will try to convince you that this is obligatory. Now, please listen to me – I spoke with the locals who were not interested in selling me a tour (a guy working in a hotel), and he said there are indeed recent regulations that require you to have a life jacket (so that you don’t dive and disturb the poor turtles), but you can absolutely see these majestic creatures by yourself free of charge, you don’t need any Akumal “tours”! Plus, the thing with this tour is the following – the “guide” will just take you to the water and swim near you sometimes pointing in the water if he sees a turtle. You can totally do it by yourself and it is not required to have a guide! Just walk a minute or two away from the most crowded spot and swim from there in order not to piss them off. This is quite a big save considering that the price of the “tour” is 30 to 50 US$ per person depending on how you much you can bargain. I saw 2 turtles and I swam near one of them for almost 10 minutes, it was SO much fun! My boyfriend saw 4, but that is because he did not chase them around as I did. Renting the life jacket is 100 MXT (~5,5 US$) for 2 hours, but the price may vary depending on your negotiation. Do not forget to take an ID with you, you will leave it as a deposit for the life jacket! As a pleasant bonus, Akumal beach is one of the top ones I have seen in Mexico! I recommend staying for a little bit more after you swim with Akumal turtles, just to relax and enjoy the wonderful view. 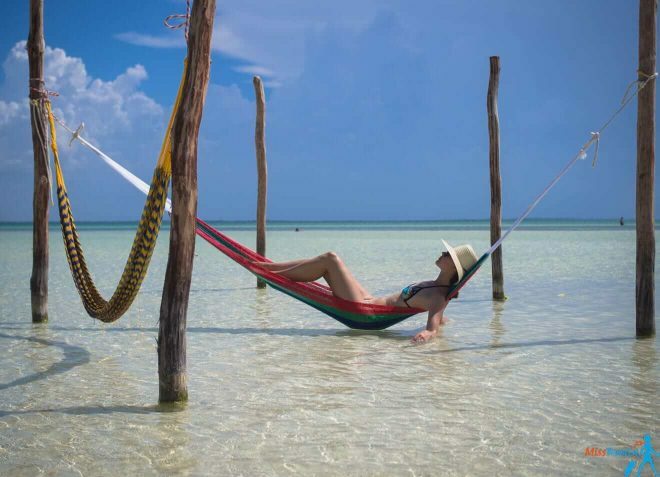 Isla Holbox (read as Hole-bosh) is another paradise-like narrow island located North of the Yucatan peninsula. It is still not that crowded – I would call it Mexico’s best-kept secret (for now). You should definitely visit Holbox, at least for a picture like the one above! Holbox Island is a 2 hours-ride away from Valladolid if you go by car. You should leave your car in the parking of the city called Chiquila and take the ferry. The parking is 50 pesos per day (they count the dates, not 24h). There are ways to leave it somewhere for free, but I would highly recommend leaving it under surveillance. The ferry is 140 pesos (~8 US$) per person one-way, the ride is only 25 minutes long and it departs every hour. You do not need to reserve your ferry ticket in advance. 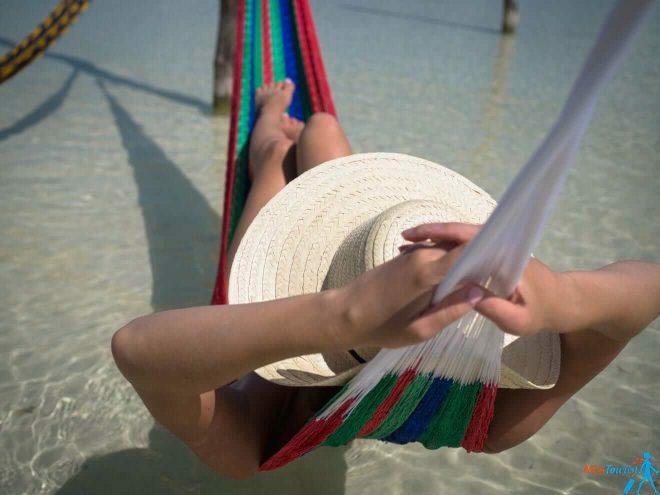 If you are going to Isla Holbox from Cancun, I would not recommend visiting it as a day trip, as you will spend a lot of time on the road and will not be able to enjoy this paradise island. Make sure to stay for at least one night! TIP: If you want, you can get flights from Cancun directly to Isla Holbox. They cost around 500 US$/person roundtrip. The island is pretty small, you should get a bike and ride around, as there are plenty of rentals for only 3-5$ a day. Do not miss the Coco Beach and the South-West of the island (that’s like 15 mins). 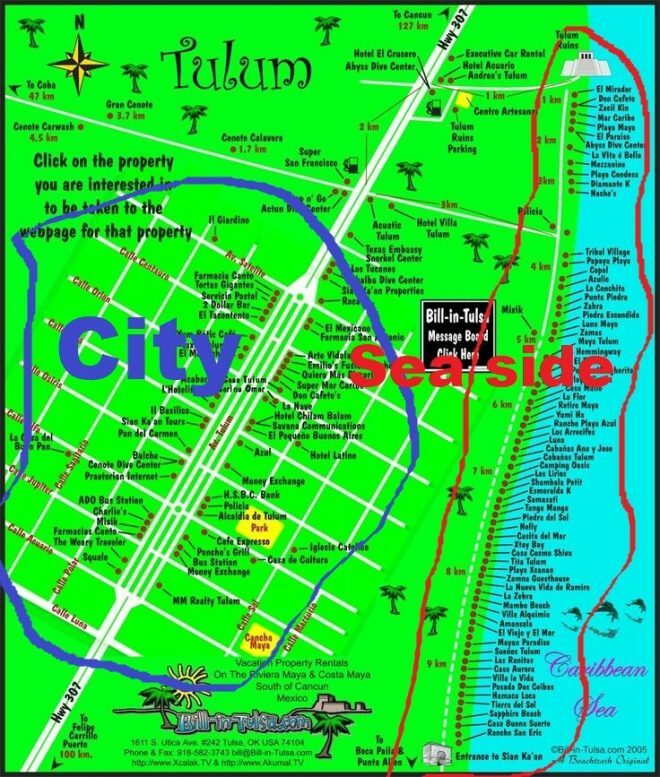 PRO TIP: Afterwards, go in the completely opposite direction, pass by all the hotels, and if you go even further and cross a shallow river, there won’t be anybody, you will have the entire beach to yourself! You can also swim with whale sharks, it is one of the most popular activities in Holbox! I did it in the Philippines and they are truly majestic and gentle creatures. I was in awe, and if you have never done it before, go for it! Cozumel, also known as the largest and best Caribbean island in Mexico, is located only 72 km from Cancun. There are endless activities to do there, from taking a food tour, enjoying a customized private jeep tour and, of course, snorkel! Merida is a charming town full of history and delicious street food! You can discover its streets at your own pace and, if you want to spend more time in the area, you can even take a fun and non-touristy subterranean snorkel tour from Merida where you will enjoy discovering some underground cenotes! 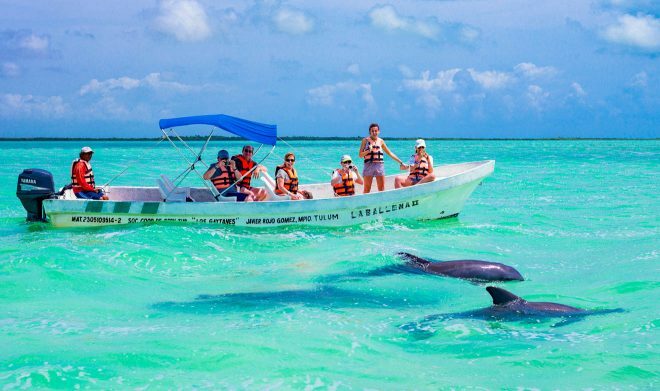 This is one of the most popular Riviera Maya trips! Sian Ka’an Biosphere Reserve, close to Tulum and 2 hours away from Cancun, is one of the 34 World Heritage Sites in Mexico! The biosphere is bursting with unique fauna and flora, tropical forests and more! If you want to visit the Biosphere with an organized tour, here is a full day trip where you will get to see wildlife and birdlife up close in this magical place! Lake Bacalar (Lake of the Seven Colors) is the main attraction of the area and some of the activities you can do there include swimming, water skiing, sailing and the most popular one: kayaking! Here is a great full day tour to Bacalar from Cancun where you will visit the town and the lake. Ek’Balam is translated as “Black Jaguar” in Mayan and one of the best things to do in this area is to visit and climb on the Ek Balam ruins (go early if you want to have the entire place to yourself!) and then swim in the beautiful X’Canche cenote. Here is a great option if you want to visit Ek Balam ruins, Rio Lagartos, and Las Coloradas on a day trip! I recommend going to Puerto Morelos in case you want to visit a calm, off-the-beaten-path beach village. 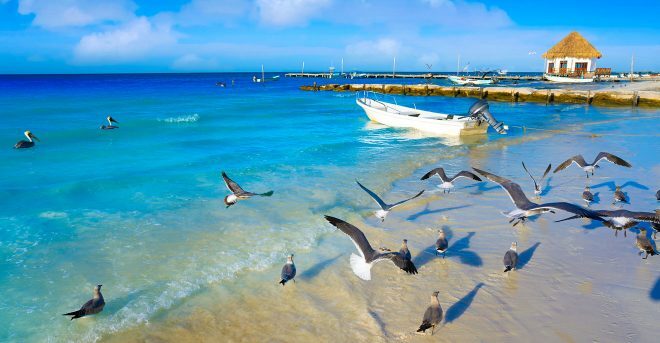 The top attraction that made Puerto Morelos famous is snorkeling in the second largest barrier reef in the world! During this tour I am recommending you will see colorful sea-life while snorkeling and then enjoy a delicious lunch at the Fish Market! A hat– I cannot stress enough how important the hat is! Buy it beforehand as everything in Mexico was heavily overpriced, especially hats, people tend to forget to take them. Sun block – the sun is strong, be sure to protect yourself at all times. Snorkeling equipment – snorkeling is very beautiful in Mexico, you will get to see colorful fish and sea turtles. If you rent it more than once (which you probably will), it makes sense to get your own, plus it is not really hygienic. Imagine how many people used it before you? Again, they are super overpriced and bad quality in all shops for tourists, get your own good one from before to avoid the hustle. 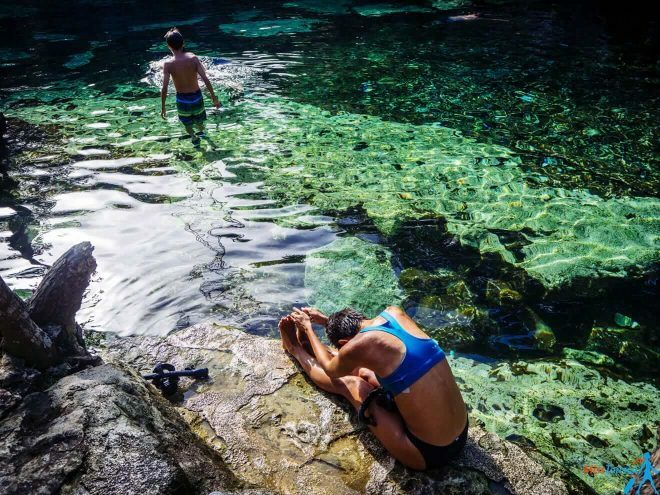 Water proof phone case – who will take all those pictures while swimming in a cenote? A GoProor any other underwater camera, I take my action cam everywhere! Packing cubes – it is a game changer, I love how organized I am with my packing cubes! In many cases, the hotel provides transportation from Cancun airport, but if it does not, you can take a bus. ADO bus is the cheapest option to get from Cancun Airport to Playa del Carmen or Cancun city. The buses leave every 30 min and you can pay by card. The price is 86 pesos (4.5 US$) to Cancun and 208 pesos (11 US$) to Playa del Carmen. You can check the up-to-date prices using their website and entering your departure point and destination. The rules at the airport are very strict, so normal taxis do not operate there because they need a special license which is very expensive. But there are some special airport taxis that do. Taking a taxi from Cancun Airport to Playa del Carmen is around 650 pesos (34.5 US$) and it takes 45-50 minutes to get there. A more popular option would be to book your private airport transfer in advance. A very good company that provides private transfers is USA Transfers. The set price is 1.150 pesos one-way per car (60 US$) and 2.100 pesos roundtrip per car (110 US$). You can check their updated rates here. PRO TIP: Once you are in the bus terminal of Playa del Carmen, walk a block away from the entrance and get a taxi from there. We just crossed the street and saved 70 pesos (around 4 US$). We paid 50 pesos (3 US$) instead of 120 (6.5 US$) that the taxi driver required at the entrance to the bus terminal. Not bad, right? If you want to rent a car right from the airport, use this link, it has the best rates in my experience! Usually, if you book for a week or longer, you will get some great discounts as well! If you are like me, and you need Google maps to find your way and upload pictures on Instagram to share your experiences, you will probably need to buy a local SIM card. Which one to choose? Anyway, you will need to buy your sim card in one of the cell shops in the city. AT&T and other operators are cheaper, but Telcel has the best reception. I paid 420 pesos (23 US$) for a 2GB sim card and it worked great! This was my list of 9 unforgettable things to do in the Yucatan Peninsula, as well as some useful information for your trip. During your Mexican vacation, you will see the famous ruins, enjoy the beach and see some amazing wildlife without rushing too much. 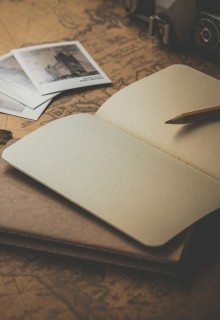 I compiled a list of amazing places to visit on the course of 2 weeks – you can take something out of the itinerary if you have less time on your hands, or even add more things is you want to visit more. Just don’t rush too much, ok? 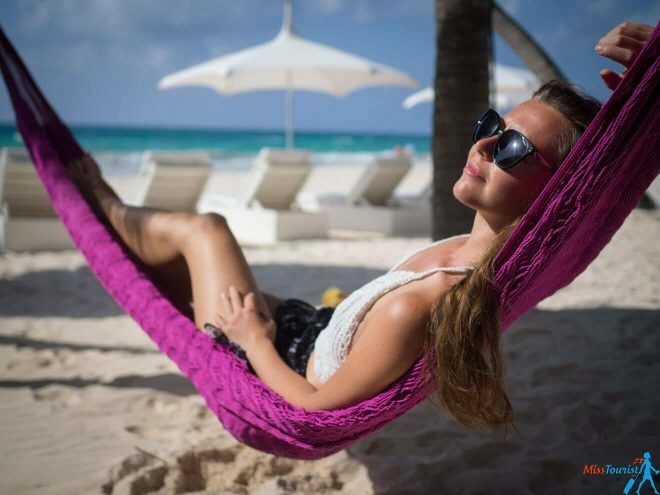 Make sure to relax and enjoy the amazing views of Mexico during your Riviera Maya travel, which is the only way to feel the peninsula in the right way. 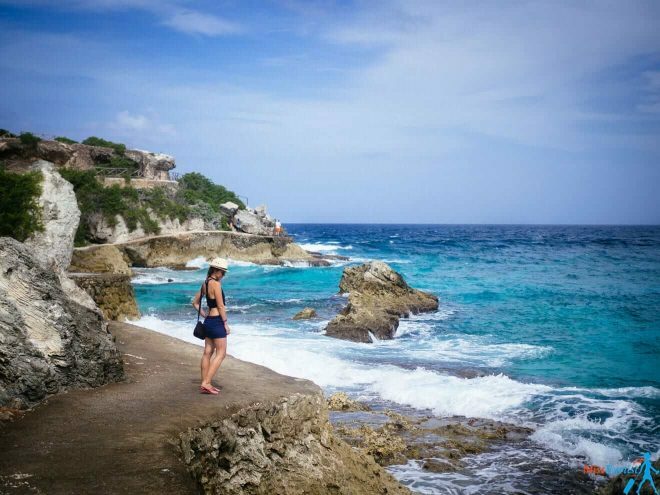 I hope this post with Riviera Maya things to do and see will help you plan your stay in Yucatan too! All of these places seem like a piece of paradise! When’s the best time of the year to explore these places? I have visited in June and the weather was great – sometimes maybe a bit too hot, but sunny every day. The high season is from December to April. The coldest it can get is about 23 C (73F) in january, the wettest month is September. It’s always been fantastic to be there as it’s attracting people to its romantic weather and climate. 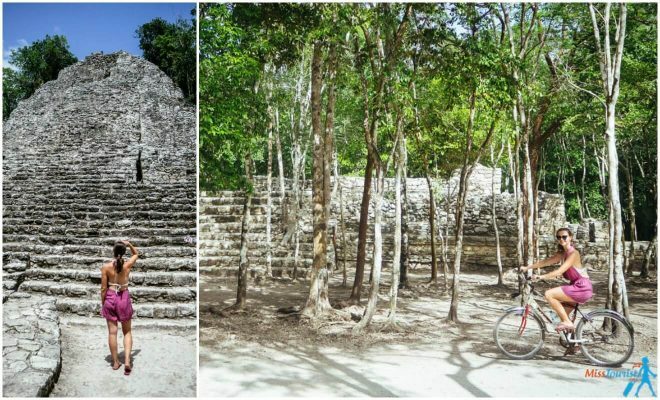 There are lots of places more to visit there including these in Riviera Maya! Wow, this is a really thorough post! I’ve been to many of the places on your list, but I haven’t been to Akumal yet. I’m sad to hear that pushy touts try to “trick” you into taking a tour with the turtles when you can do it yourself. I like that you mention Bacalar for an additional place to visit if you have time in the Yucatan. It’s a little out of the way and waaaay down the peninsula, but it’s so cool and funky kind of like a young Tulum. If you can get to Bacalar, I also recommend the small town of Xcalak, which is right on the coast and fairly isolated. It’s really one of the last pristine beach towns in Mexico I think! There’s great info (and I guide I co-authored!) at http://xcalakmexico.com. Riviera Maya is soooo beautiful!! Im so happy to call it home part of the year! I got to say, this was a very good read. Very well laid out and informative. Hope I can get to everything you recommended! Thanks for the post, very helpful! 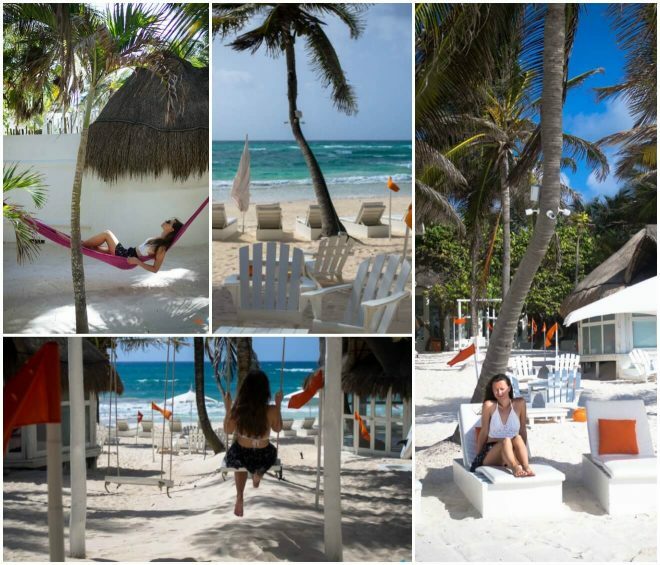 Wow lovely post about Riviera Maya. I would like to say, this was a very good read for which I have found more info about Riviera Maya in Cancun. Hope I can get to everything you recommended! Thanks for the post. I think it can be useful for my next trip to Cancun! I have been to Riviera Maya. It is in Mexico and famous for various things. You can start your trip by exploring the jungle ruins or forest trails and then float under the rivers with a raft or the ship. Visting underwater that is really very adventurous and full of excitement. Xcaret Park covers a large area where you can enjoy the park. 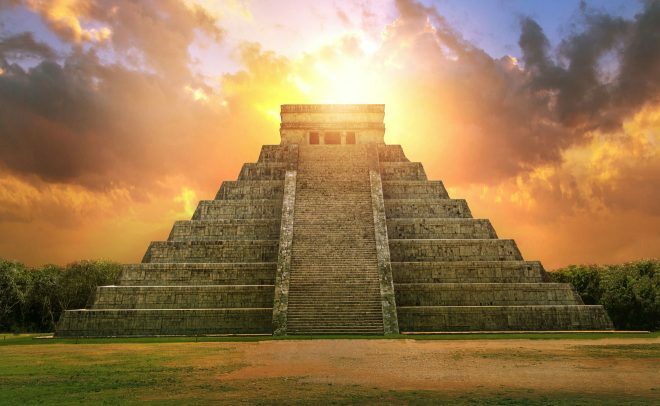 Chichen Itza is the seven wonders of the world. 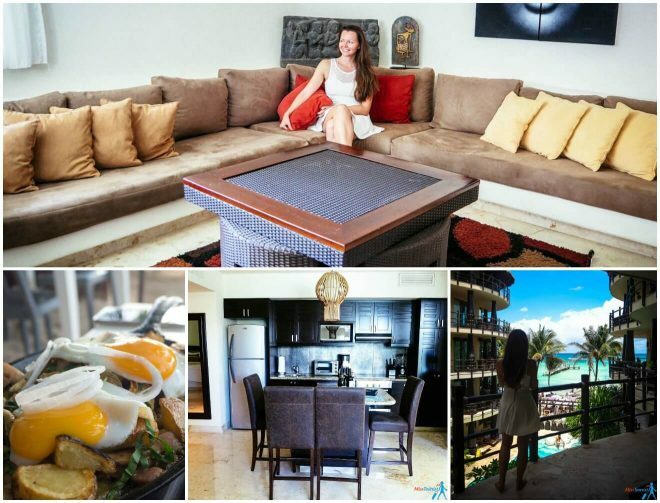 Recently one I had visited Mexico with the help of Riviera Maya Ocean Front Rentals to enjoy the vacation. Thank you for your very detailed post, this will definitely help me with my trip coming up. Would you recommend staying in Cancun and visiting all these places or stay for at least a day or two in each of them? I would recommend renting a car and staying for some time in each of the places, to me it felt much better as I didnt spend hours on the road everyday and I could feel the destination better by staying there at least overnight with no rush.